Fitness Evolution is an intimate personal training studio located in the core of Calgary, minutes from Marda Loop. In our relaxed and private space, you’ll have the opportunity to focus on your goals with the guidance and expertise of our professional trainers. Fully outfitted with the latest equipment, the Fitness Evolution studio is a place where you can achieve the body or level of athletic performance you want, without any of the traditional, big box gym hassles you don’t. Working out at a traditional gym can be an overwhelming and frustrating experience. Everyone in the weight room seems to know exactly what they’re doing, and it can feel like the whole room is staring at you. Even for the serious athlete, the fight for equipment and inadequate space can hinder your ability to properly train for your next event. Fitness Evolution provides an entirely different type of space to train in. Our boutique studio is a crowd-free, private and well-maintained facility where individuals and small groups work with a professional trainer. It’s an ideal combination of atmosphere and expertise that lets you reach your goals faster. 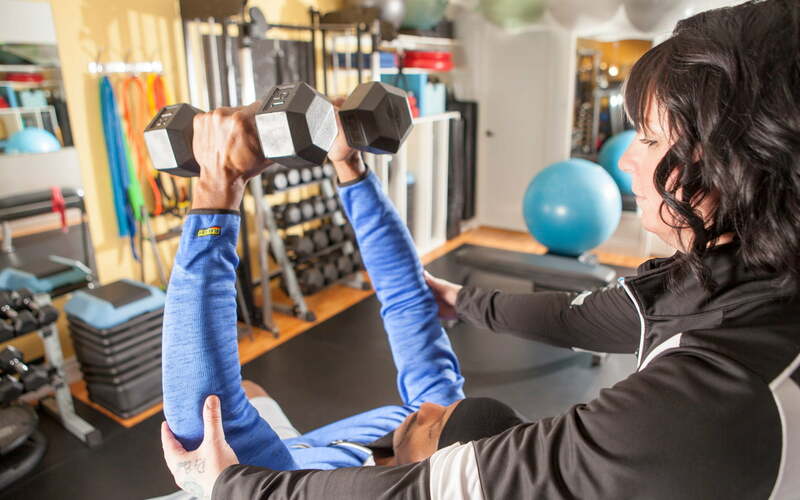 A dynamic team with backgrounds in personal training, athletic therapy, nutrition and various other disciplines comes with a naturally dynamic service offering. Whether you want athletic rehabilitation, meal planning, boot camp style classes, a faster slap shot or an incredible set of legs, we have the fitness professional perfect for the job. Fill out our online assessment form so we can match you with the trainer that’s perfect for your fitness goals. We’ll be in touch soon after to get you started with a personal consultation. Are you a Fitness Professional or Athletic Therapist looking for an opportunity to run your own business in a Boutique Training Studio? The next best thing to owning your own gym, Fitness Evolution offers established trainers and therapists subleasing opportunities with autonomy. You control your hours, rates and clientele. we provide the space! Contact us now for more information.